The son of the explorer Captain Robert Falcon Scott and the sculptor Kathleen Scott, Peter Scott was one of the most versatile Englishmen of his generation, being an accomplished artist, naturalist, international sportsman, conservationist and man of action. 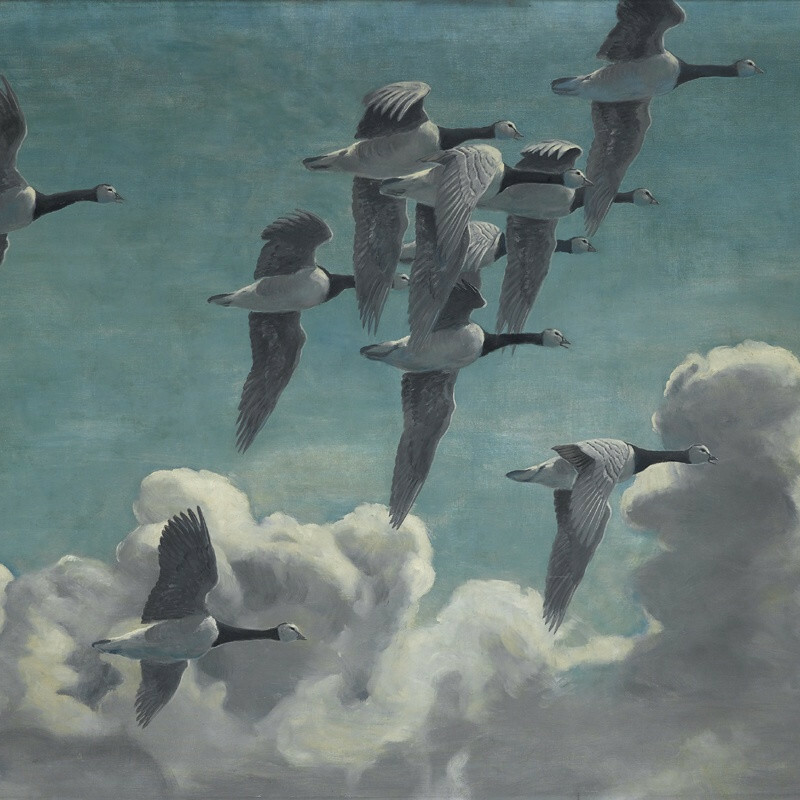 He started to paint geese and ducks while an undergraduate at Cambridge and then served with RNVR in the Second World War, where he was awarded the DSC and Bar and was thrice Mentioned in Dispatches. In 1946 he formed the Severn Wildfowl Trust, which was responsible, among others achievements, for the rescue from extinction of the Hawaiian Goose. He went on to become chairman of International WWF and subsequently of the Fauna Preservation Society. Scott won a bronze medal for single-handed sailing at the 1936 Olympic Games and was British Gliding Champion in 1963. His paintings concentrate on ships, the sea and wildfowl and among the many books which he wrote and illustrated are 'Morning Flight'(1935), 'Wild Chorus' (1938) and 'The Eye of the Wind' (1961).